Functionality was imperative when Aurelien Barbry designed the elegant SKY wine carafe. The glass is handmade in Portugal by skilled craftsmen, and it is as pleasant to touch as it is to watch. The ingenious coaster was designed to catch any drops of wine, and prevent them from hitting the surface. 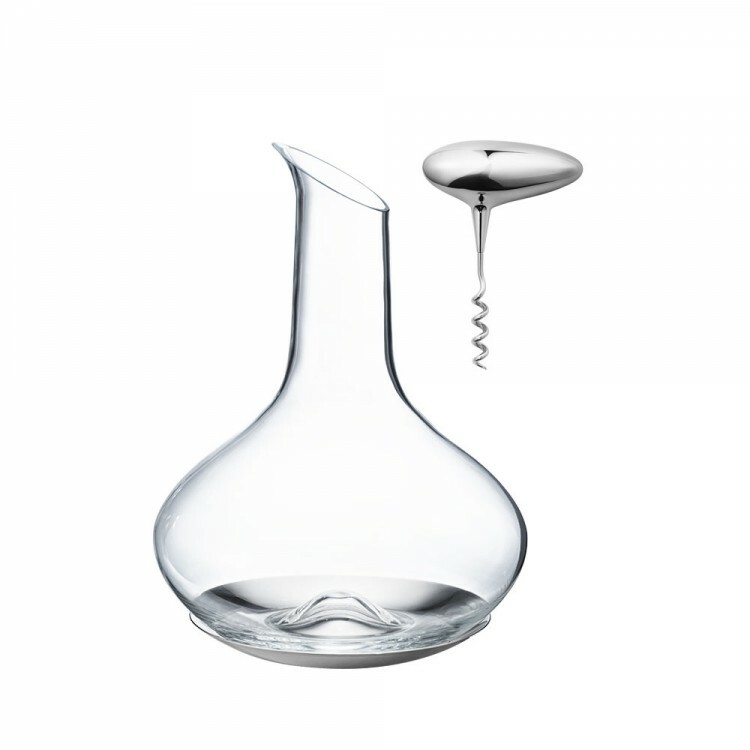 The spout of the carafe was cut and subsequently hand polished to enhance pouring. The carafe contains 0.75 cl. 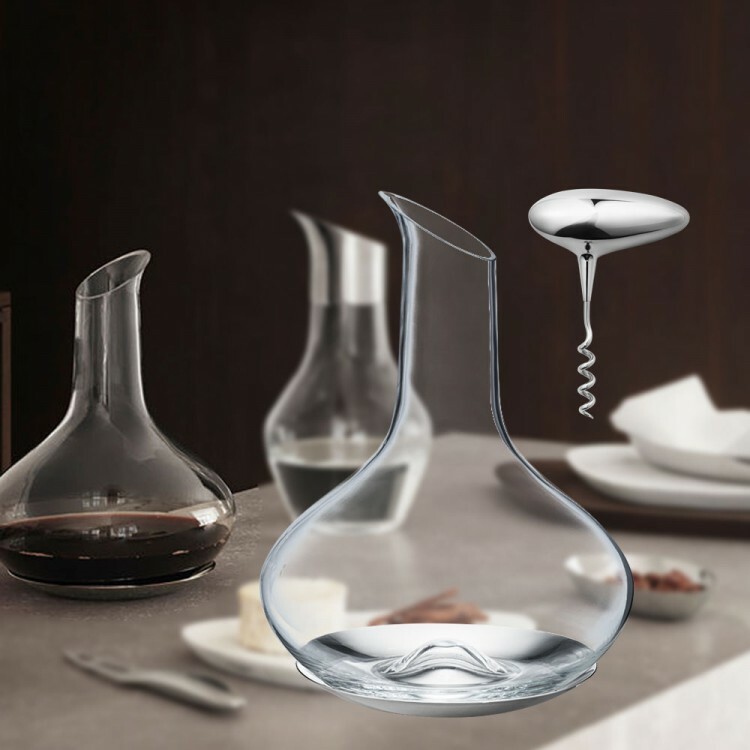 With this gift you will also get the SKY corkscrew.